NBA star John Wall was kicked off a flight in Las Vegas Tuesday after a disturbance was reported, Las Vegas police said. The Washington Wizards' All-Star point guard was with a group of people on an American Airlines flight around 2:30 p.m. on Tuesday, police said. One of the people with Wall got into a verbal fight with another passenger, who was unrelated to the group, police said. That's when the airline requested Wall and his group be removed from the plane, authorities said. There were no charges or arrests. An American Airlines spokeswoman referred questions to police and said the airline had no information about a disturbance on a Tuesday flight from Las Vegas. 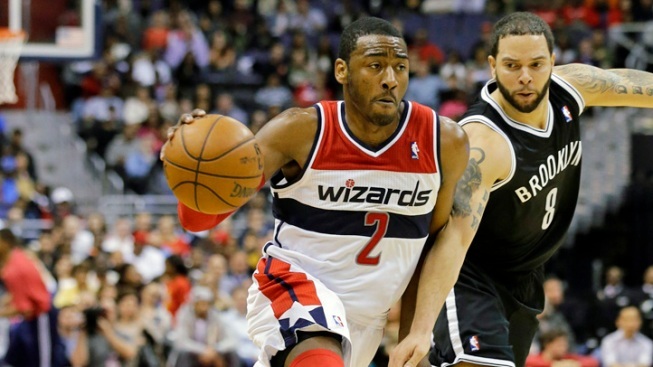 Wizards spokesman Scott Hall said neither the club nor Wall plan to comment.